Not everyone would be able to handle their mom coaching them. Mine just asked me to come for dinner tonight… in Vancouver, and I’ve told her I’m in Toronto every time she’s called me this past week – about every other day. Despite her warmth and kindness, I don’t think it would work for us. For Denis Shapovalov, it is working. Not only that, the partnership has been producing great results. 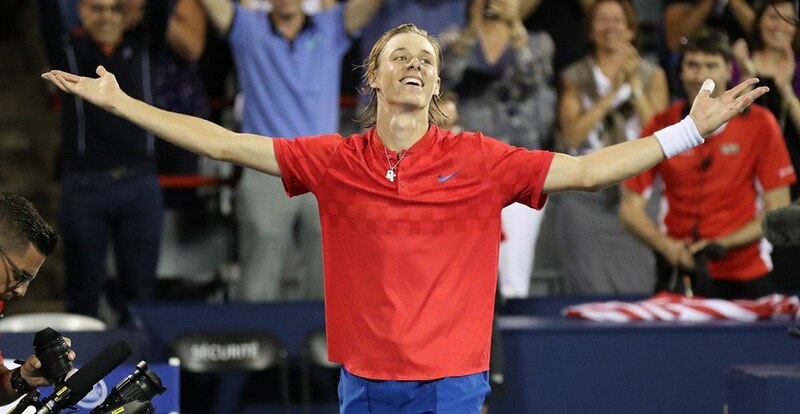 In his 6-1, 6-3 victory, Shapovalov hit his first serves in at a rate of 76 percent, a marked improvement over his 56 percent first serve percentage on the year so far. On Wednesday, he beat World No. 14, Italian Fabio Fognini, in straight sets (6-3, 7-5), to advance to the third round. Shapovalov’s mother, Tessa, makes a living as a tennis coach and she now runs her own tennis club, TessaTennis. While she coached and taught Denis the game growing up, she has handed off coaching duties to Tennis Canada and his full-time coach Martin Larendeau over the years. Now, with Laurendeau slowed by a back injury, she’s been pulled back into action. The 19-year-old expanded on what makes his mother a good coach after his first-round win. Canada’s rising star explained that the reason he trusts her is her understanding of his own abilities.